Wynwood Townhomes by Bogner Developments offers a high-quality product for a mid-range price. You will not be disappointed with the features here, with popular and bright open-concept floorplans, superb attention to detail, private yards and large balconies. The 9-foot ceilings give the homes a spacious feel, and the gourmet kitchens will be sure to inspire your inner chef! 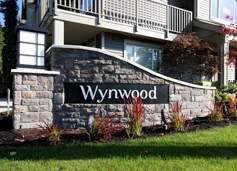 The units come with many high-end standard features that give Wynwood Townhomes outstanding value. Amongst the features are a double garage, laminate flooring, window coverings, stainless steel appliances, quartz countertops, undermount sink, tile backsplash and decorative interior and exterior lighting. Phase I and II of Wynwood by Bogner Developments are both SOLD OUT. Floorplan A - 3br, 1,380 sqft. Floorplan A1 - 3br, 1,420 sqft. Floorplan A2 - 3br, 1,420 sqft. Floorplan B - 3br, 1,475 sqft. Floorplan C - 2br, 1,050 sqft.